I’ve owned my share of kitchen gadgets over the years. Some, I use regularly – my microplane, a food mill, canning set (tongs and funnel) and a spice grinder, to name a few – not to mention my mini-arsenal of small appliances, including my heavy duty stand mixer and food processor. Other stuff I either bought or was gifted but almost never use. Things like our garlic press, julienne peeler, egg separator, icing comb and pie divider make honourable mentions there, no doubt. Then there’s the awkward “middle children” of my culinary collection – the motley crew of mandolin, potato ricer, cake leveler and instant read thermometer that are used just enough to warrant their existence in my household but not enough to be included in my most convenient cupboards or on my counter. I’ve had to become nothing short of nit-picky when selecting new items to buy, trying to anticipate just how much I’d use them and how versatile they’d be, given that I cook and bake both at home but also as a Home Economics teacher. When the Spiralizer (and it’s various spinoffs) became a craze, I initially held off – at least until our garden started mass-producing zucchini. Suddenly, veggie-noodles didn’t sound too bad! Luckily, about the time we had ratatouille and zucchini-breaded ourselves out of existence, my review copy of 150 Best Spiralizer Recipes by Marilyn Haugen and Jennifer Williams showed up on my doorstep. Spiralizer is true to it’s title, being filled with 150 (mostly delicious-sounding) recipes suitable for almost everyone. The book is organized largely by diet style, rather than recipe type – from Paleo and Raw to Gluten Free and Vegetarian / Vegan. For those of you who are completely new to the art of making vegetables into twirly works of art, Haugen and Williams have compiled a 13 page primer in the book’s beginning. Spiralizing Basics (p.8) covers the parts of a generic machine as well as listing a few other tools that are handy for most applications. 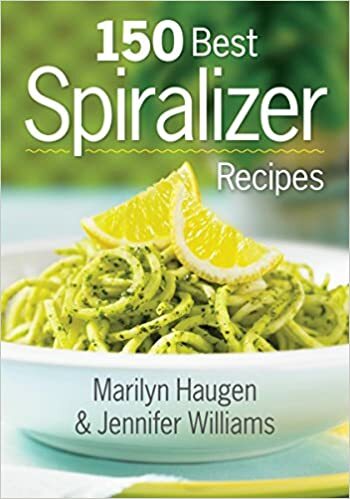 Next is The Spiralizing Pantry (p. 10), a comprehensive listing of how to spiralize what as well as suggestions for preparing and storing finished spirals. The Pantry also includes suggestions for flavourings and oils as well as a basic tip-sheet, all of which combine with the rest of the intro to create a “safety net” that will let any reader break out their machine with confidence. The recipes are easy to read, with bold titles and a standardized format that includes introductions, metric and imperial measures. I say the recipes are “delicious-sounding” because, in Robert Rose fashion, there aren’t photos available for all the recipes. Two pockets of full-colour pictures were slotted in – albeit a bit randomly in the middle of a recipe section rather than in between chapters. The text of each recipe is no-nonsense, with easy to follow, numbered directions and handy “tip boxes” accompanying most items. The directions themselves are a clear sign that the authors took their proofreading and editing seriously, even as a new reader skimming through. On the cooking and eating side, the Spicy Shoestring Jicama Fries (p. 184) were amazing and crisp, albeit a bit too salty for my taste and a true struggle for my Spiralizer to manage. Sweet Potato Noodles with Mushroom Marinara (p. 152) sounded delicious but a trial to spiralize, a tad salty and with a very oily – I found myself wanting much more mushroom. If I made it again, I would add some dried mushrooms and let them soften in the sauce. I haven’t attempted any of the “dessert-style” offerings yet, but it is good to know that the gadget’s not just for savoury things. It’s important to note, as well, that these authors are not doctors or nutritionists, and that many of the recipes, while technically “fitting into” the category they’ve been assigned to, are imbalanced. For instance, most of the vegetarian and vegan recipes lack protein – a key fact they will realize but those trying such a diet as a “fad” may not. When in doubt, researching any or all of the listed eating styles will help readers modify the recipes t suit themselves. Possibly the best part about this whole book is that it’s a fantastic source of inspiration. 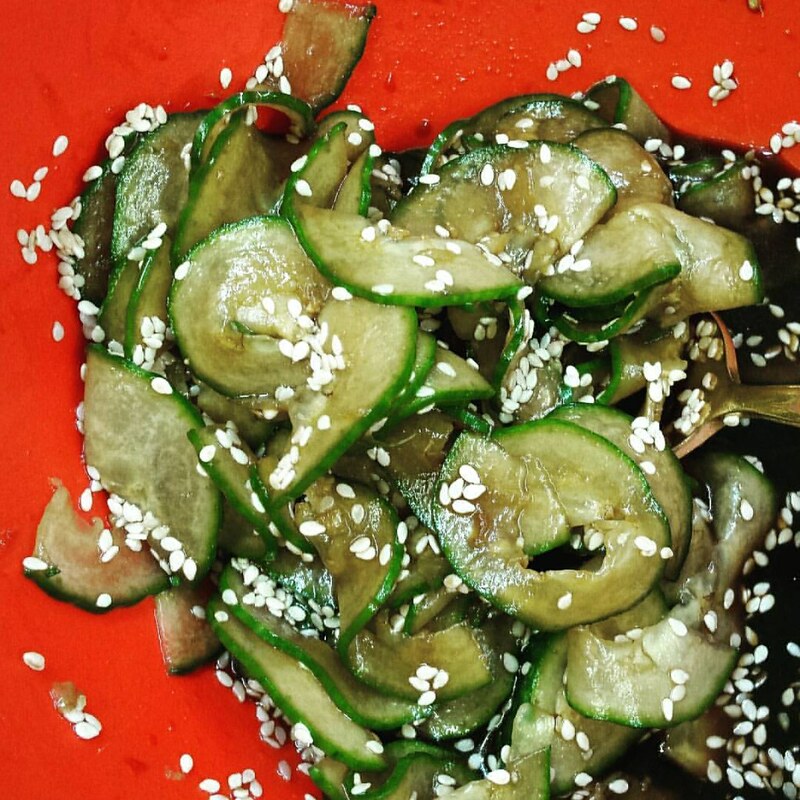 While it’s not a recipe given in Spiralizer, I dreamed up (and devoured) a version of a Japanese cucumber salad for my Home Economics class to try. They loved the salad, and the gadget, and it’s given me reason to bring it out again for other treats. 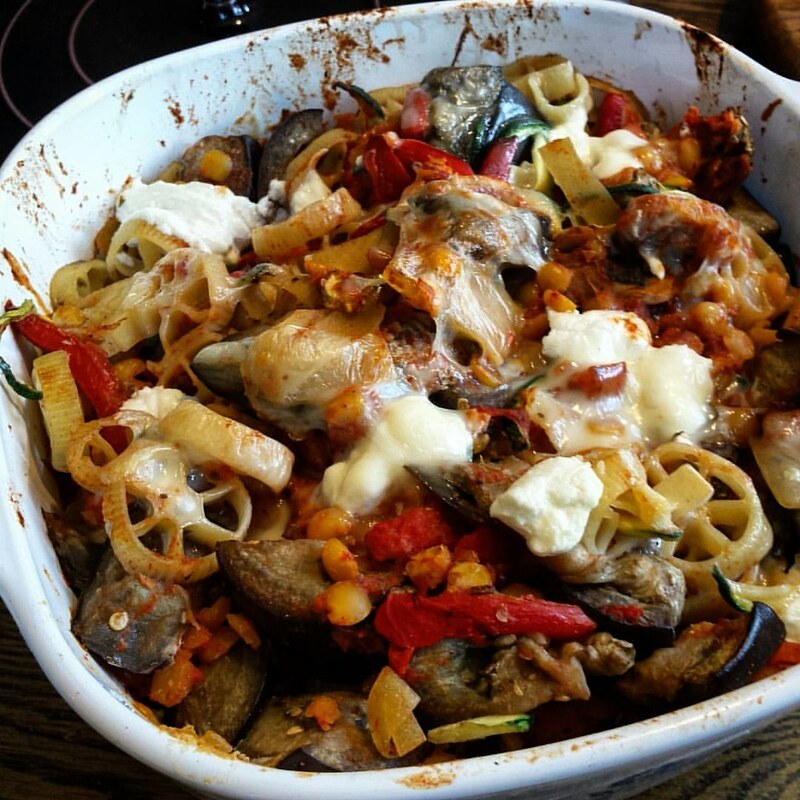 At home, the device mowed through zucchini and red pepper to make a version of ratatouille pasta that was filling but light on the waistline. While the appliance is still not a “must have” fixture in my kitchen, the book makes using it more approachable and I won’t be throwing it out anytime soon. No, like many hidden gems, it will remain one of my “middle children” until I find the right way to make it (and lots of assorted veggies) bloom. Really dedicated blog! In Ukessays.com summarizing style you set a great up to motivate others. Thanks much!